Cancun exemplifies a coastal city featuring world-class resorts, hotels, restaurants, and astonishing malls. With its amazing location, Cancun is bursting with tourists because of its stunning white beaches, caressed turquoise waters, and amazing archeological sites. It has quickly emerged as a fertility destination with some of the country’s top doctors practicing here. Cancun has direct flights from nearly every major city in North America and has a desirable infrastructure from extravagant hotels to charming bed and breakfasts. 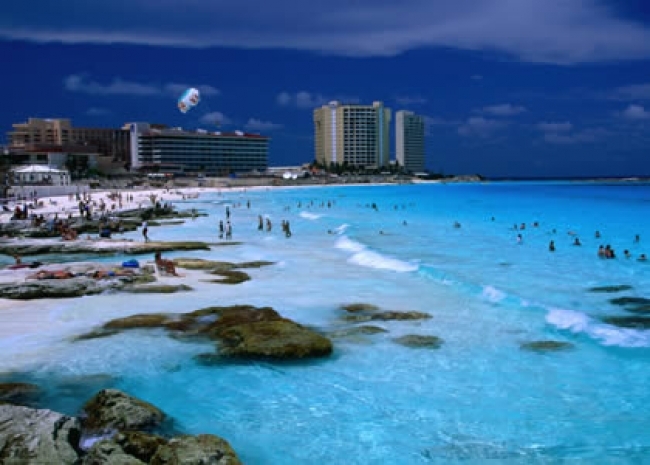 Cancun has developed into one of the most modern and advanced cities in Latin America. Four million visitors arrive each year due to the effortlessness of travel from the US, Canada and Europe. Cancun International Airport is the gateway to Cancun and the Riviera Maya. There are flights from every major city in North America and many cities in Europe and beyond. All travelers require a valid passport to enter Mexico. Residents of North America do not require a visa to enter Mexico. The Temple — defined as one of the Seven Wonders of the World, the Temple of a Thousand Columns and the most famous, Pyramid of Kukulkan is worth your eyes visit. Tulum — explore the amazing archeological sites of the Riviera Maya; gracefully overlooking the Caribbean Sea and brilliant turquoise waters. Sub See Explorer — see the Great Mayan Reef from a guided Sub See Explorer guided tour to appreciate the magnificent exquisiteness of submarine life. See the amazing coral reef as Cancun is notorious for the many species of colorful tropic fish and marine life. Rio Secreto, Riviera Maya — the fun starts here as you experience an adventure of a lifetime with a shuttle to the natural reserve and a magical experience. You are given a wetsuit, a helmet with a lamp and wet shoes to explore the complex natural passageways that were formed by geological progressions. Isla Contoy Island Excursion — cross the majestic Caribbean Sea to the unforgettable beaches and an abundance of underwater snorkeling adventures.